Now it's very easy to change audio of any Video files, just select video and audio and add audio to video in all ways possible. 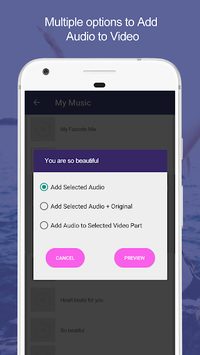 This app is best Music Video Maker, it change Background Music for video. 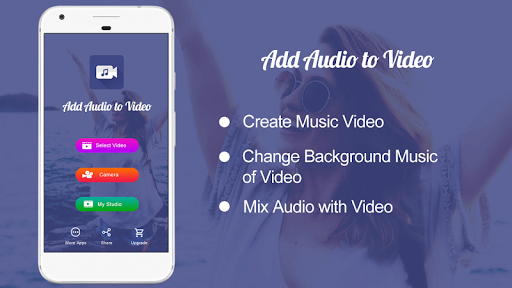 If you wanna add Audio to videos to make funny videos, or add recorded dialog in video to make dubbing videos, or add song in background of video then use this app. You can add audio to selected part of video. > Select any part of Audio and add selected part of audio in full Video. > In case audio is smaller than video, Audio will repeat. > Mix selected part of audio with video background audio. > Change volume of original audio and selected audio. > Add selected part of Audio to selected part of video. > In other part of video, original audio of video will play. > What You See, What You Get(WYSWYG). > Play created Music videos in inBuild Video PLayer. 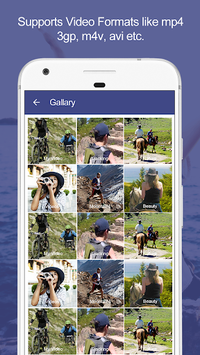 > Share your Music Videos, Edited Videos with your friends and others. Improved input Gallery and output Gallery UI.